"Ultimately, my whole worldview regarding food has changed. Not only do I feel empowered to make eating choices that work for my body, I'm able to give my sons a much better mindset regarding food." I came out of this program with some very unexpected, but great results! After starting and quitting many diets/programs, I wanted to find an expert in holistic health who could give me easy step-by-step instructions to drop the unwanted pounds. Ultimately my whole worldview regarding food has changed. I don’t see things through the lens of “good” vs. “bad” foods. By slowing and painfully shredding some deeply ingrained thoughts around food, food is no longer the enemy to be subdued or abused through emotional stress eating. Not only do I feel empowered to make eating choices that work for my body, I’m able to give my sons a much better mindset regarding food, and my family and I are eating much better and saving money. Working with Samantha has been a life-changing experience for me. 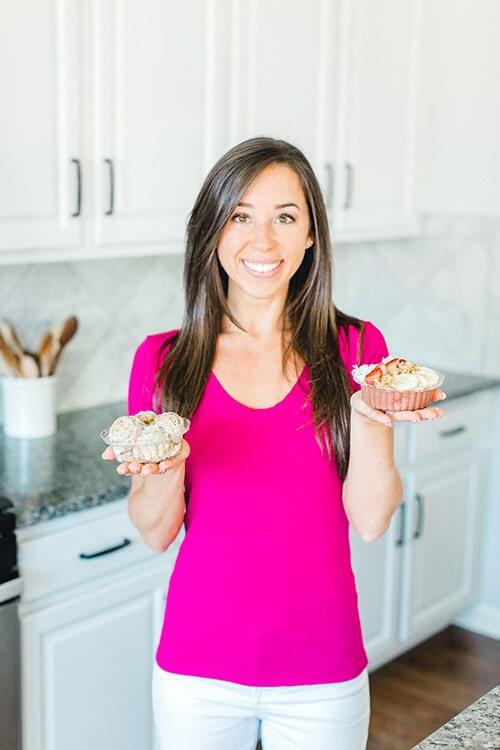 If you’re looking to make substantial changes to the way you see food – without a focus on dieting – I would highly recommend you give her a try! "I ended up losing weight naturally – not through restriction, but through an intuitive eating/non-punishment approach that helped me focus on eating what made me feel good and didn’t make me feel like I was missing out on life." Coach Samantha is amazing. She has helped me change my mindset about dieting, and I am happier and healthier because of working with her. Not only that, but I ended up losing weight naturally – not through restriction, but through an intuitive eating/non-punishment approach that helped me focus on eating what made me feel good and didn’t make me feel like I was missing out on life. 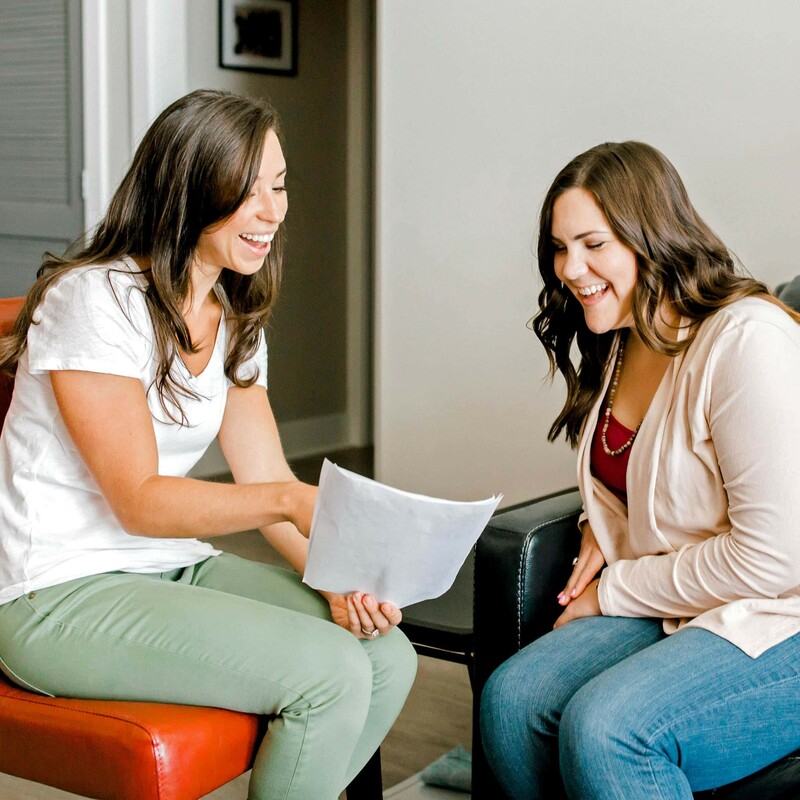 As we worked through the coaching, Samantha never made me feel guilty or bad about myself or my decisions, but helped me re-frame my approach to food, restriction, and self-acceptance. It has been a fantastic experience and I’ve really appreciated her positivity and encouragement! "[Samantha] has completely changed the way I look at food, the way I think about food, the way I feel about my body, my self-esteem, and she has given me so much confidence and honestly a new lease on life." Working with Sam has been a life-changing experience for me. She has completely changed the way I look at food, the way I think about food, the way I feel about my body, my self-esteem, and she has given me so much confidence and honestly a new lease on life. When I came to her I was feeling really hopeless because I had been to nutritionists before, I had felt I had heard everything and tried everything, but I still had a tiny grain of hope left along with willingness and open-mindedness. Her views on and approaches to food and health are so different than the typical diet and restriction lifestyle. She focuses on having you treat your body well, be healthy and feel good inside and out, and experience all the benefits that come with that, and if weight loss or positive changes happen in your life too, that’s just icing on the cake! That changed my entire world and I can really say that I love myself and rather than I want to punish myself. I actually want to nourish my body, and I can’t thank her enough for all the gifts she’s given me. She has always been available for me night and day, anytime I needed her, she’s been there as a friend, as a therapist, and helped me through so many problems not just with food but life in general. She’s been there every step of the way and for that, I’m extremely grateful. She’s provided me with so much and is extremely different than anyone I’ve worked with before. "I came into this thinking that it was crazy. Eat what I want when I want and I will be healthier? Well, look at me now I have lost 50lbs on intuitive nutrition alone." I came into this thinking that it was crazy. Eat what I want when I want and I will be healthier? Well, look at me now I have lost 50lbs on intuitive nutrition alone. I came into this after a car accident sent me into a downward spiral. And now I am happier, lighter, and free. I have this great relationship with food, I am not craving sweets all the time anymore, and I love to eat nutritiously rich food. And guess what I can still have pizza and cake, but I don’t crave it. I don’t need to have it and when I do have some I only have a little bit. I love having this sense of freedom and to be so much happier in my life. 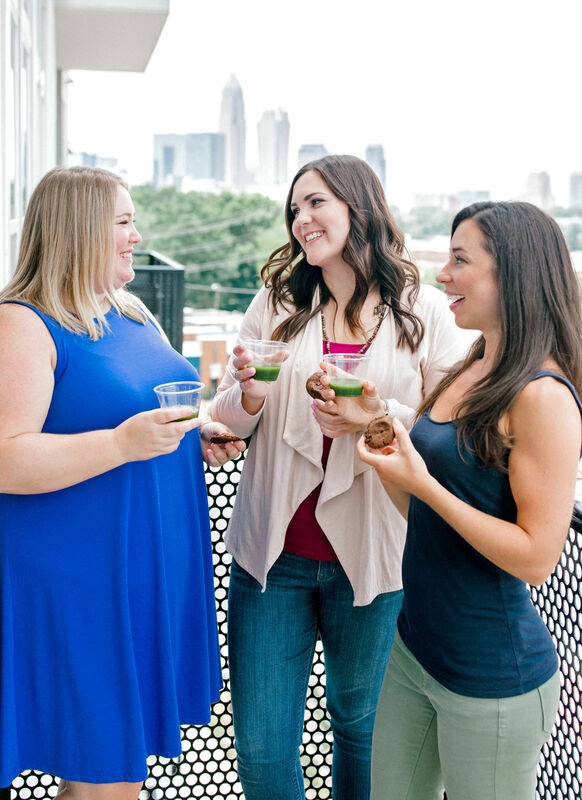 "Samantha is 100% all-in – an encourager, a teacher, and an overall positive light that is very much needed when it comes to altering the way I think about my body and food." Coach Samantha is wonderful to work with. Her approach as a coach is personal and unique. For six months, Samantha is 100% all-in – an encourager, a teacher, and an overall positive light that is very much needed when it comes to altering the way I think about my body and food. You can count on Samantha to be organized, motivational, and full of knowledge. Her program is well developed and informational, including handouts and recipes. After the first introductory phone call, I could tell she is very invested in her program and clients. I definitely recommended working with Coach Samantha if you are searching to adopt a healthier lifestyle. "I don’t look at anything as a diet now, it’s a lifestyle and its ok to “mess up.” "
When I first heard about Health Coaching, I was nervous to try a new approach and fail because so many of my nutrition attempts in the past had failed. But I signed up anyway and I’m so glad I did! I now have a much different approach to food, diet and exercise. I don’t look at anything as a diet now, it’s a lifestyle and its ok to “mess up.” I loved how she got me out my mental block first, approaching how I thought about things before we even started a nutrition routine which proved to be the key to my long term success. Once we did dig into the nutrition component, it really opened my eyes to new foods and I learned how to fuel my body and keep it healthy. Plus she gave me so many cool recipes! I feel like anyone would benefit from learning from Samantha, not just one type of person. She is extremely open and understanding and has such a great approach. She has a great program and a great attitude. Working with her and learning about nutrition and myself have really changed how I look at my life. She has provided me with so much knowledge that will benefit me for the rest of my life. I look forward to working with her again because I know the journey is hard and I will need support and she has been the best to work with. "Thank you for helping me understand what my body needs and wants. Thank you for helping me honor my hunger and the countless hours of support when I struggled. Thank you for listening to my challenges and providing so much personal attention." This process has been one of the most valuable of my life to date. I found Healthy Eaton at a really difficult time in my life. I have a condition that my doctors can’t figure out and feeling discouraged. Not only did Samantha listen, but she researched and helped me navigate new waters. More than anything, she cared and made things as manageable as possible for me. I travel very frequently for work and she made the program work for my lifestyle. So, the question is, how can you adequately say thank you to the person who changed your eating habits, championed for you every step of the way, and taught you the power of self love? You can’t, but I’ll give it a go! Thank you for helping me understand what my body needs and wants. Thank you for helping me honor my hunger and the countless hours of support when I struggled to get everything perfect. Thanks for teaching me there’s no such thing as perfect – it’s all a continuous learning process filled with lots of grace. Thank you for listening to my challenges and providing so much personal attention. Finally, thanks for being so real and transparent. This process was eye opening, transformative, and a lot of fun! "Not only did I lose 21 pounds in 3 months, but I managed to keep my weight down. I learned that I was torturing myself for no good reason, and that you can actually get rid of your additional pounds without starving yourself and spending endless hours on an elliptical." Signing up for Samantha’s coaching program has hands down been one of the best decisions I have ever made! Not only did I lose 21 pounds in 3 months, but I managed to keep my weight down. I learned that I was torturing myself for no good reason, and that you can actually get rid of your additional pounds without starving yourself and spending endless hours on an elliptical. If you are looking to change your bad habits, educate yourself on how to eat healthier and you’re ready to start a new chapter in your life – then Samantha is the missing piece you have been seeking for so long! As it turns out, I was eating completely wrong. I was reading the packaging but was not looking for the right clues, and on top of that, I was not eating enough! In just 3 months with Samantha’s coaching I now understand and appreciate my body, provide it the nutrition it requires, established a daily food routine and have stopped to feel guilty whenever I crave chocolate or a burger. Samantha gives her coaching a highly personalized touch and composes the sessions according to your specific case and needs. She is there to answer all your questions related to your health, as silly as they may appear to you. Just give it a try, you won’t be disappointed! "She isn’t about depriving ourselves or feeling bad if we eat something. We should feel good about the food we eat!" I love working with Samantha. She is so well informed when it comes to understanding the relationship between our bodies and all the food options we have and really does her homework to ensure her clients are armed with the facts about why certain foods are better for us. For example, Samantha recommended a certain brand of bread to me. I couldn’t tell if the bread was gluten free based on the label so I texted Samantha and she immediately responded. She previously called the bread company directly to make certain the bread was in fact GF! Samantha and I recently completed a workshop focused on food and meal prep and planning. My schedule (like everyone’s) can be a bit hectic and I do not want to spend precious free time searching for recipes to fit my food sensitivities nor do I want to spend hours in the kitchen working on complicated recipes that end up tasting so-so. Samantha prepared a few items for me as part of this workshop: First we talked through ideas on how to make prep work faster and more efficient. Samantha shared some ideas that I never even considered – prepping some food items with limited seasoning so they can be used in multiple recipes, cutting up vegetables on prep day but not cooking them until right before the meal, etc. Then we walked through two approaches to assembling recipes and how each is centered around balancing out each meal with the right amount of food groups. One key element here – Samantha also has good taste…literally. She tries and approves all her recipes before sharing them. They are all delicious. Even if simple with limited ingredients, she knows how to combine different spices and seasonings to make even the most basic recipe taste amazing. I’ve made her crock pot fajitas 3xs since our session and bought a rice cooker on Samantha’s advice and it has been a game changer. I also appreciate Samantha’s approach and philosophy. Her aim is really to coach her clients to eat the foods that will fuel our bodies and allow us to feel our best. She isn’t about depriving ourselves or feeling bad if we eat something. We should feel good about the food we eat! "I finally have the tools, knowledge, and support to be able to continue down the path to a healthy, sustainable lifestyle." Working with Coach Samantha was a life changing experience. She really cares for her clients and goes above and beyond to help them achieve their goals. I was looking for someone to work with that would challenge my way of thinking, push me outside of my comfort zone, and really help me dig deep down inside to understand what was holding me back. While I was eager to jump right in and understand how I needed to alter my eating habits, Coach Samantha had a different idea in mind. And boy am I glad she did! The mental and emotional side of things was just as important, if not more, as the nutritional aspect. She encouraged me to challenge my way of thinking and helped me have a different perspective on my overall well-being. You are provided with some of the best tools and given the knowledge and structured guidance that will enable you to make the lifestyle changes that you are seeking to make. It’s not always easy, and there are times when you may feel like giving up, but sticking with the program and at times going back to the basics will do more for you than you could ever imagine…plus Samantha will hold you accountable! I finally have the tools, knowledge, and support to be able to continue down the path to a healthy, sustainable lifestyle. "I now understand and appreciate my body, provide it the nutrition it requires, established a daily food routine and have stopped feeling guilty whenever I crave chocolate or a burger." "I had heard so many mixed messages about nutrition labels, various diets and quick fixes. I thought [dieting] was about the food and exercise but it starts with what was going on in my mind. I’ve learned how to fuel my body with natural food and Samantha was there for me every step of the way." Before working with Samantha I had struggled for a very long time to figure out my “normal.” I didn’t know the weight my body wanted me to be. I had heard so many mixed messages about nutrition labels, various diets and quick fixes. Before we even started talking about food though, Samantha worked with me on my negative thinking. I had no idea how important that was when it came to health! I thought it was about the food and exercise but never put the focus on what was going on in my mind. She helped me get my mind and positivity in the right place to love myself where I was. After we established that I was able to talk about food and nutrition. I had pretty healthy eating habits and tried to eat “clean,” however there was way more involved than I ever imagined such as pesticides on produce, antibiotics in our meats, food sensitivities and much more. I became so much more educated on things that I thought I had good knowledge on. I learned so many tips that have helped me fuel my body with natural food. She was there for me every step of the way and made a plan that was completely unique to me. I am so grateful for all of her advice and teaching me about overall health. "My whole life I’ve been obsessed with food and weight – Am I eating too much? Are these jeans too tight for my body? Why can’t I just be one of those girls who eats pizza without worrying? Then I found Samantha and everything changed!" My whole life I’ve been obsessed with food and weight – Am I eating too much? Are these jeans too tight for my body? Why can’t I just be one of those girls who eats pizza without worrying? Then I found Samantha. During our 6 months together Samantha taught me to love myself from the inside out and how confidence & happiness are SO much more important than what the scale says. She showed me how to have a healthy mental relationship with food while also giving me the tools and confidence that I needed to cook nutritious meals for myself. Not only did we have long catch-up sessions every other week (there’s always so much interesting stuff to learn and talk about!) but she was there for me 24/7 with any questions or moments of weakness – which I learned is just part of the journey. She taught me that life isn’t black or white; win or fail. Embracing your moments of weakness, or “the grey”, is a much happier and healthier way of living. I’m so glad to have had Samantha as a Coach and to have learned to love and celebrate the fact that my body lets me live this life- after all, you only get one shot! "After being in pain for so long, you gave me the answers and the tools to take control of my health. All the hard work has been so worth it, I am doing what’s right for me and it’s very rewarding." Thank you so much Samantha for working with me and for teaching me how to take care of my health. After being in pain for so long, you gave me the answers and the tools to take control of my health. I haven’t felt like this in a very long time and you have changed my perspective on eating habits. All the hard work has been so worth it, I now feel accountable for doing what’s right for me and it’s very rewarding. Thank you!!! "I feel better with more than just my eating habits, but with stress and feeling confident in knowing what my body needs to feel my best." Samantha’s program is truly life-changing. For years, I tried to do a lifestyle change, and I always felt that I failed, which left me upset and disappointed with myself. After working with her, I am proud of myself. I wouldn’t dream of saying that with anything before. Samantha listens and addresses any concerns, but she also celebrates all of my successes and growth. Her philosophy to food is very approachable. With such a viewpoint, you cannot fail, and she will not let you feel that you are failing. Samantha is very realistic and understands the complicated relationship people have with food. After completing this program, I have noticed that I feel better with more than just my eating habits, but with stress and feeling confident in knowing what my body needs to feel my best. She helped me meet my goals with food and then some. I could not thank Samantha enough for all that she has done for me. "I have had more energy, sleep better, and find myself overall happier. And as an extra bonus I lost 13+ lbs." My time was Samantha was great and very insightful. I wish our session didn’t have to end! I loved how she personalized our time together to specifically meet my needs. She helped me discover best practices for managing my time, and taught me to think of “my future self”. I struggled with having a very rushed morning, but now I am up before my alarm goes off, drinking my morning tonic first thing, and my breakfast/lunch is already prepared for the day. She helped me completely change my morning routine for the better. I also worked with Samantha to help discover any food sensitivities. With the food sensitivity testing I was able to eliminate foods that cause a reaction. Since then I have had more energy, sleep better, and find myself overall happier. And as an extra bonus I lost 13+ lbs. Samantha’s positive energy and constant encouragement made the whole experience very enjoyable, and I learned so much! "I didn’t focus on weight loss as my ultimate goal, but I had my yearly physical yesterday after our 6 months together, and I’ve lost weight without trying!" I didn’t focus on weight loss as my ultimate goal, but I had my yearly physical yesterday after our 6 months together, and I’ve lost weight without trying! In years past I would feel the need to start something involving restricting food and strict rules (subconsciously knowing I would self sabotage, fail, etc) around New Year’s, but it was so nice to not get caught up in all that hype this year! Over the holidays there were some times when I ate in excess, but I feel like I did better at having a little bit of something and feeling satisfied and stopping. I ate more healthy foods and less junk than in years past, and it was actually easy to do so! I now don’t dwell on poor choices, I can let it go and start over every day, and I am not eating nearly as much when I don’t feel physically hungry. "In just 3 months of working with Samantha I have no more bloating! This is huge. I have suffered from bloating since 2005." In just 3 months of working with Samantha I have no more bloating! This is huge. I have suffered from bloating since 2005. And now I know what combination of items are problematic for me. I am more knowledgeable about food options and what I can and can’t eat…and what I should and shouldn’t eat based on foods that will cause my old symptoms to come back. Samantha gave me lots of good exposure to resources and workouts that I would have never found on my own, and I could tell she genuinely cared about my success. She is very knowledgeable about food and dietary items (I think she should write a cook book!) and is on top of all that she commits to – the phone calls, the follow-up notes, etc. I’d recommend her to anyone suffering from digestive issues and are stuck because their general doctor can’t diagnose them. Thank you for everything! "I was introduced to new recipes for my whole family and ingredient swaps that I had no idea existed! [Samantha’s] base of knowledge is just amazing. I have no doubt that I will continue to follow her and seek her guidance in the future!" I started following Samantha’s blog in an effort to make some changes in my own diet. What I found there was a community of people trying to make changes, and with Samantha’s guidance, I was introduced to new recipes for my whole family and ingredient swaps that I had no idea existed! I was also lucky enough to work with her for a month through her coaching. Her base of knowledge is just amazing. I have no doubt that I will continue to follow her and seek her guidance in the future! "[Samantha's] presentation [at our Parkinson's Disease Support Group] was easy for everyone to follow and very informative. I have gotten such a great response from the participants who learned a lot of simple tips that will benefit them and their families"
Samantha came to speak to our Parkinson’s Support Group in Mount Holly and was very well received! Her passion for nutrition and a healthy lifestyle was evident and inspiring to us! She provided valuable information and thoroughly engaged all of us – almost 30 people. The presentation was easy for everyone to follow and very informative. I have gotten such a great response from the participants who learned a lot of simple tips that will benefit them and their families, as well as specific information targeted to Parkinson’s Disease. They especially appreciated her feasible tips for “getting started” with improved nutrition and mindset. I recommend her highly! "After meeting and getting to know her at a fitness retreat, it’s so obvious how much she genuinely cares about helping people get healthy. She’s a no judgement, honest, kind, no-pressure person who is a joy to be around, and her wealth of knowledge is beyond impressive too." I participated in a veggie challenge with Samantha Eaton. It’s helped me to think of veggies in a new way. Rather than just considering how I can have a veggie meal or side of veggies with my meal, I’m incorporating them into meals more. It’s become a habit to throw a handful of spinach into smoothies or empty my produce drawer when I’m making a crockpot soup. I’ve discovered new ways to get my kids to eat veggies (my son BEGS for mashed cauliflower), and my husband is eating healthier too. :). My future plans include ordering her detox program and possibly food sensitivity testing for the family. After meeting and getting to know her at a fitness retreat, it’s so obvious how much she genuinely cares about helping people get healthy. She’s a no judgement, honest, kind, no-pressure person who is a joy to be around, and her wealth of knowledge is beyond impressive too. "Samantha is an excellent speaker and presents with information the perfect combination of energy, humor, empathy and research. " We have had the pleasure of having Samantha Eaton present to our local MS Support Group on two occasions. Samantha is an excellent speaker and presents with information the perfect combination of energy, humor, empathy and research. She is extremely knowledgeable and professional, and presented very reliable information that our group members soaked in. She provided specific suggestions and guidance to those with MS which was very helpful, the information was presented in an excellent Powerpoint presentation, and was very easy to communicate with making scheduling very easy. I would highly recommend Samantha in any setting. I can’t wait to have her in future support groups and I am also very excited to check out her blog and learn more from her! "I have finally lost all those pounds that no matter what I did, they wouldn’t go away (11 pounds!) improved my skin, I’m not bloated all the time, and I feel better working out with more energy and stronger! . I loved that she offered healthier food alternatives rather than just having me eliminate things from my diet." Through working with Samantha in her Health Coaching program, I have finally lost all those pounds that no matter what I did, they wouldn’t go away (11 pounds!) improved my skin, I’m not bloated all the time, and I feel better working out with more energy and stronger! I identified a number of foods that I used to eat on a a regular basis that I actually have a food sensitivity to, and by not eating them so often I’m no longer stuffy after every meal. I have learned so much about how food truly affects the way I feel. Samantha is really easy to talk to, and I never felt like she judged me. I loved that she offered healthier food alternatives rather than just having me eliminate things from my diet. If you have an open mind and are willing to listen and accept Sam’s help, you will not be disappointed. "I feel great about myself and will continue to use Samantha’s teachings to stay positive. She is a pleasure to work with. She is bright, easy to talk to, very supportive, won’t judge you at all, and is SOOOOO relatable. Take the chance and work with Samantha because you WILL see a change in yourself and it is amazing!" Samantha has helped me so much over the past six months from the way I look at myself to my relationship with food. When I first heard about her program, I was a bit skeptical, it sounded too good to be true. But after talking to her for the first time I knew she knew what she was doing, and was ready and excited to help me. I initially struggled with feeling overweight, not knowing what to do with food and dieting, self esteem issues, and a few more. I had tried dieting, various restrictions, and self hate, but I was just on a cycle of feeling great for about a day or two and then crashing and blaming myself for failing. Since working with Samantha I feel confident about myself and about my eating habits. I don’t need to restrict myself from food, I feel happier, I know how to lift myself up if I’m having a bad body day, and know I can make healthy and delicious food choices. I feel great about myself and will continue to use Samantha’s teachings to stay positive. She is a pleasure to work with. She is bright, easy to talk to, very supportive, won’t judge you at all, and is SOOOOO relatable. Take the chance and work with Samantha because you WILL see a change in yourself and it is amazing! "The biggest thing I have achieved in working with Samantha is the new way I feel about my body and food. I have learned so much about how to see food and how to see myself. I feel my confidence has really gone up in many areas too. I now find myself not obsessing about food like I have always done. I don’t find myself craving junk food as much." The biggest thing I have achieved in working with Samantha is the new way I feel about my body and food. I have learned so much about how to see food and how to see myself. I feel my confidence has really gone up in many areas too. I love that she talked to me about my food issues without any judgement. I now find myself not obsessing about food like I have always done. Allowing myself to eat whatever I want has really changed me as well. Because no food is “off limit,” I don’t find myself craving junk food as much. I have also learned about the chemicals in food and how they can affect my body. I also now read food labels so much more carefully. I have learned that many food companies will sneak in harmful ingredients, and about how toxins can affect my body. I think anyone who has struggled with food issues at any point in their life, or who wants to start eating healthy, or who wants to feel better but just isn’t sure how to do it would all really benefit from working with Samantha. Trust the process, she knows her stuff! "I no longer obsess over food, and feel so good people have commented I’ve lost weight, and I honestly don’t know (I got rid of my scale)! I have become aware of how certain foods make me feel and base food decisions on that -rather than restriction." My primary take away from working with Samantha was to listen to my body and mind. I’m in such a good place, I no longer obsess over food, and feel so good people have commented I’ve lost weight, and I honestly don’t know (I got rid of my scale)! I have become aware of how certain foods make me feel and base food decisions on that -rather than restriction. This approach has also spread into my life more broadly, for example, I spend time thinking of what makes me feel energized and in turn, make more time for those activities whether it be spending time outside or reading for pleasure. Listening to my body and being thoughtful about my approach / reaction to situations has ultimately helped me in many aspects of life. I continually learn about my body holistically, not just from a nutrition perspective, and recognize that it is a fluid process that is ever changing. "I lost both mental and emotional weight! I’ve been battling food issues for just about my entire life, but after working with Samantha for 3 months I know that I’m heading down the right path to resolving those food issues." I didn’t lose a pound and I was already eating many of the “right” foods. But here’s the thing – I lost both mental and emotional weight! I’ve been battling food issues for just about my entire life, but after working with Samantha for 3 months I know that I’m heading down the right path to resolving those food issues. I’m not going to say that I overcame all of my issues in 3 months, but I made tremendous progress. When I started working with Samantha one of my main goals was to understand what I “should” and “shouldn’t” be eating. I also wanted to feel good. And yes, I did want to lose some pounds. What I got out of the program was way more than that. I did discover that I am sensitive to many foods that would be deemed healthy, I’m still working on that whole feeling good part, and lost some major mental and emotional weight. Samantha was super supportive and flexible. She didn’t force me to do anything that I wasn’t ready to do yet and tailored the program to meet my needs and goals – even if they changed along the way. I now have numerous tools that I can continue to reference throughout my journey and know that I can count on Samantha if I need her in the future. Regardless of your goals, I would highly recommend Samantha. Thank you Samantha. Thank you for being so supportive, positive and flexible. "I loved how she helped me get through my weight issues. I have learned to love myself more and how I can make myself look and feel better without focusing on the numbers." "I used to feel overwhelmed by the planning process and had fallen into a rut of making the same meals over and over again. Samantha makes meal prep easy and efficient by breaking it down into components that are easy to follow and don’t require spending all day in the kitchen cooking meals for the week." Samantha’s meal prep/planning workshop helped me plan my meals and utilize leftovers so that I don’t have to cook all week. She gave me a ton of recipes and wide variety for breakfast, lunch and dinner that are all healthy and easy to prepare. We even made a delicious pork tenderloin using techniques that were new to me and now it’s one of my “go to” dishes. I used to feel overwhelmed by the planning process and had fallen into a rut of making the same meals over and over again. Samantha makes meal prep easy and efficient by breaking it down into components that are easy to follow and don’t require spending all day in the kitchen cooking meals for the week. "I used to be a big yo-yo dieter and had lost and gained several pounds over the past several years. I had basically tried it all – keto, 1200 calorie diets, Beachbody and 21-day fix, a watch that shocked me to punish me when I ate “bad”, weight-loss competitions, wraps to make me appear skinnier, and thousands of dollars on supplements (sound familiar?). NONE OF IT WORKED and I was at my wit’s end. Then I found Samantha." I used to be a big yo-yo dieter and had lost and gained several pounds over the past several years. I had basically tried it all – keto, 1200 calorie diets, Beachbody and 21-day fix, a watch that shocked me to punish me when I ate “bad”, weight-loss competitions, wraps to make me appear skinnier, and thousands of dollars on supplements (sound familiar?). NONE OF IT WORKED and I was at my wit’s end. Then I found Samantha. I reached out to Sam and she explained more about her program. The program isn’t a quick fix – and it takes a lot of work. But in the long run, Sam helps you develop a healthy relationship with food by guiding you with a customized program to fit your needs. She is extremely responsive and always quick to offer suggestions. Since beginning the program I’ve been able to spend less time thinking about food (which used to always be on my mind), practice more positive thinking to help me with challenges, and add more foods into my diet, rather than restrict foods like most diets do. I can eat whatever I want without feeling guilty through intuitive eating and know that I’ll be able to get back to the weight I’m supposed to be at. "Since starting to work with Sam, I’ve noticed I have more energy, less inflammation and soreness, improved skin, and lost about 25 pounds – even though my goal from the program was not to lose weight." Since starting to work with Sam, I’ve noticed I have more energy, less inflammation and soreness, improved skin, and lost about 25 pounds – even though my goal from the program was not to lose weight. My biggest takeaway from Sam’s coaching and meal plans was a “reset” of my portion sizes. I was able to cut way back on the amount of food I was eating at each sitting as I was able to pay more attention to being full. I really liked the accountability she provided, having someone to check in with, every couple of weeks, was good and helped me to focus on what I wanted to get done. Also, the meal plan for the cleanse was GREAT, having it all laid out was very helpful. Sam is truly motivated to help you succeed in your goals. She’s excited about your gains and won’t kill you over any setbacks. It’s been a pleasure working with her, and I look forward to touching base with her from time to time on my future progress. "Samantha’s holistic approach to healing the mind & body together, in conjunction with the tailored approach to each body’s specific needs, places her program well above all the rest of the programs that are out there." Working with Samantha for our 6 months together was one of the best decisions I have ever made my entire life. While I came into her program already knowing a lot about nutrition, she was able to fill in the gaps that I unknowingly had, especially where it pertained to my specific body. The vast majority of “diets” out there try to squeeze everyone into a “one size fits all” approach, which may work for some, but does not work for all. 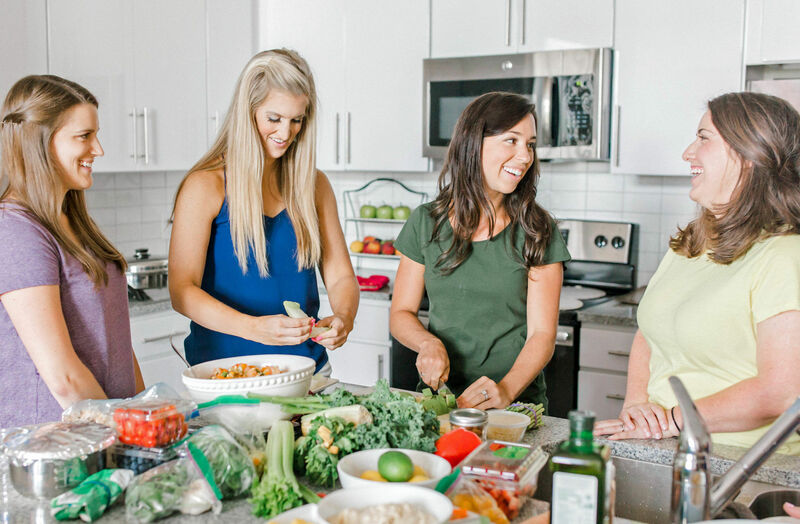 By utilizing Samantha’s cleanse and reintroduction program, alongside the food sensitivity and allergy testing, we were able to streamline the process of finding out what specific foods were better for my body than others. I quickly learned that just because one particular food is healthy in general doesn’t mean that it is healthy for me. Samantha’s endless support, the accountability provided by our bi-weekly sessions, plus the at-home cooking class all contributed to my new, well-rounded approach to the overall nutrition of my mind, body, and spirit. Samantha also knows a lot about other sneaky ways that our lifestyle can be making us less than our ideal selves, whether it’s the toxic chemicals hiding in our toothpaste, or the lack of awareness of what an inside-out approach can do for us in regards to our overall health. In my opinion, Samantha’s holistic approach to healing the mind & body together, in conjunction with the tailored approach to each body’s specific needs, places her program well above all the rest of the programs that are out there. I would recommend that anyone looking to improve the overall quality of his/her life work with her. Working with Samantha could very well provide the missing links between the mind/body connection for you as it did for me. "I have struggled for the past several years with my weight and with exercise. Through her guidance I have learned that my biggest obstacle was my food choices. Learning to identify hidden sugars and pay attention to the way my body responds to my food choices (good or bad) has certainly changed both the way I eat and the way I feel." Having Samantha’s support and suggestions throughout the Fitness/Nutrition Challenge was a great asset. I have struggled for the past several years with my weight and with exercise. Through her guidance I have learned that my biggest obstacle was my food choices. Learning to identify hidden sugars and pay attention to the way my body responds to my food choices (good or bad) has certainly changed both the way I eat and the way I feel. I find that after 6 weeks of being sugar free (even sugar substitutes were omitted from my diet) my stomach doesn’t tolerate cheat days or even cheat meals. Samantha’s tips and tricks have fundamentally changed the way I approach fueling my body. I certainly feel better and I’m starting to notice changes in my appearance as well! "[Samantha] has always been available for me night and day, anytime I needed her, she’s been there as a friend, as a therapist, and helped me through so many problems not just with food but life in general." 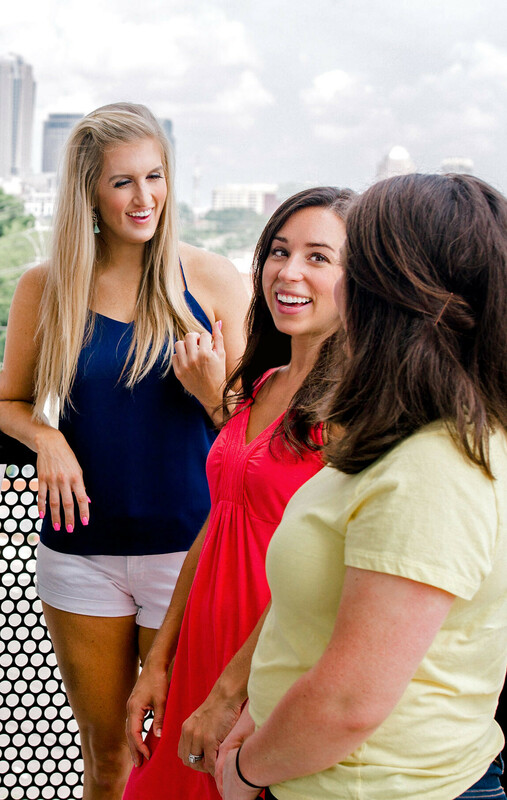 "She took my lifestyle, my likes and dislikes, goals, and made a program that worked for me." I came to Sam to work on my up and down eating habits to really looking at the root of “why” I feel I way I do about food, my body, and overall health and I have thoroughly enjoyed working with her. She has been helpful, motivating and encouraging, and has provided me with a valuable amount of tools and knowledge that I can carry on with me past our time working together. I had received so many mixed messages, and created false beliefs about food, and it was great to have someone like Samantha that has taken the time to do the research and reveal the real truths. Samantha is extremely knowledgeable, and very easy to confide in. She took my lifestyle, my likes and dislikes, goals, and made a program that worked for me. I greatly appreciate that Samantha sets you up for success with her ongoing support, ​positivity, and commitment. "[Samantha] is really good to work with, easy to talk to, and really listens to what I am truly saying (and not saying). The best part of this is, knowing that you have your own personal cheerleader who is supporting you in your personal journey. She sends recipes, offers tips for healthy substitutes and great words of encouragement. I love knowing that I am doing this for myself, but not by myself." Working with Samantha has been life changing for me! I came to her because I wanted to lose weight and hadn’t been able to do it alone. I figured that she would give me tips on what not to eat and be helpful by keeping me accountable…but she gave me so much more. The first part of our work together was to focus on my mind. I have worked with nutritionists before that simply focused on the food, and while I lost some weight initially, I didn’t keep it off. Once we worked on getting to the real root of “why” I put on the extra weight in the first place, and what is blocking me from losing it, I was so much happier! I’ve made so much progress in this area and my greatest lesson of all so far is “honor my body.” This is a huge step and a strong statement for me to make. I would recommend Samantha’s services to anyone who struggles with their weight, especially those who have been dieting all their life and still cannot lose the weight, because Samantha starts with training the brain first, and then everything else follows. She is really good to work with, easy to talk to, and really listens to what I am truly saying (and not saying). The best part of this is, knowing that you have your own personal cheerleader who is supporting you in your personal journey. She sends recipes, offers tips for healthy substitutes and great words of encouragement. I love knowing that I am doing this for myself, but not by myself. "As a result, [my husband and I] have seen amazing changes in our bodies. Between us, our sleep, energy, digestion and pain have hugely improved, and we lost weight! We feel more motivated to do things, more alive!" My husband and I both worked with Samantha in her private coaching program for 6 months, and took her healthy grocery shopping tour. As a result, we have seen amazing changes in our bodies. Between us, our sleep, energy, digestion and pain have hugely improved, and we lost weight! We feel more motivated to do things, more alive! Plus as a bonus, we’ve noticed a change for the better, in the foods our son asks for. At first we were worried about having to give up foods we liked, and how we’d be able to cook with our busy schedules. But really we never felt deprived because Samantha always had a substitute that was healthier, and she helped us figure out how to fit it into our routine. She is so understanding and supportive, no matter how far from your goals you may be. She was constantly available when we were struggling and such a positive down-to-earth person.If you have been thinking about trying to become healthier, looking to rid yourself of a sluggish, unhealthy, unhappy lifestyle, this is for you! It’s an emotional and physical transformation that is affordable and effective. "I have 3 extremely picky eaters, but she showed me several short cuts, quick in a rush meals and suggestions on preparing meals for the week!! Samantha sat down with my entire family and explained what to look for when selecting foods, looked at food we have in our pantry and discussed the negative health impacts they can have, and answered all of our questions." I decided I wanted to make changes to our eating habits for my entire family. I started following Samantha’a blog for several months and finally made the call for help, and I am thankful that I did!! Not only did she spend all afternoon working with us, she went through our daily eating habits in a questionnaire before she arrived and printed tons of healthy recipes catered to our food preferences that are a healthier alternative to what my kids already eat. I was skeptical at first because I don’t have a lot of time to cook and I have 3 extremely picky eaters, but she showed me several short cuts, quick in a rush meals and suggestions on preparing meals for the week!! Samantha sat down with my entire family and explained what to look for when selecting foods, looked at food we have in our pantry and discussed the negative health impacts they can have, and answered all of our questions. We then went to both of the grocery stores I usually shop at each week and went through items I usually buy and she helped me find healthier alternatives. When we returned, she made hummus and guacamole with my girls which was their favorite part. She gave them suggestions for healthy snacks after school that they can make on their own. Not only did we make changes to our diet, but also to some of my cookware and cleaners. She is always quick to respond when I have questions and we have all enjoyed working with her. "[Samantha] never said “don’t eat this or that” – she said “try this or that – think good, better, best.” I have no idea if I have lost weight – I probably have but I am not checking – I feel better about what I am eating – I feel smarter about it." I called Samantha after the new year as I was just about to join Weight Watchers for probably the 15th time. I told her i wanted to learn how to eat healthy. I wanted to know now how I could make eating the right foods an easy, natural thing and would like them to be delicious too and find alternative foods for my sugar addicted children. Samantha prepared a presentation about my current food go-to meals and snacks and some great alternative swaps! The other thing she did was help me read ingredient labels so I stopped focusing on what marketers wanted me to focus on and knew what I definitely did not want to put in my or my family’s bodies. Here’s the key though – she never said “don’t eat this or that” – she said “try this or that – think good, better, best.” After going through the pantry, we went to the supermarket and walked the aisles and Samantha picked out some must have items for my pantry with me. Lastly and best of all – I got an email a couple days later with a recap of everything including links to recipes we discussed and other great ideas. Samantha continues to check on me too. I can honestly say she has changed everything for me and how I eat. I have no idea if I have lost weight – I probably have but I am not checking – I feel better about what I am eating – I feel smarter about it. It’s exactly what I asked for and needed all along. If you are tired of dieting and tired of gimmicks and want to put good for you delicious food in your body instead – call her. "After three months, I found myself no longer afraid to wear a skirt, or shorts. I look at food differently, read labels with a new eye for ingredients, and stress less when I eat something that may not be ideal for me." After working with Samantha for three months, I found myself no longer afraid to wear a skirt, or shorts. I look at food differently, read labels with a new eye for ingredients, and stress less when I eat something that may not be ideal for me. It was a journey for me that was both frustrating and enlightening, but ultimately positive and I would absolutely recommend her to anyone wanting to reset their ideas about healthy eating! "Her knowledge of food and healthy eating, coupled with her enthusiasm and love for food, made the experience for my boys a fun, memorable and educational one." Samantha is awesome! She worked with me to tailor a one day “boot camp” of sorts for my teenage sons (14 & 16) around healthy eating, how to grocery shop for a recipe, kitchen safety/food prep safety, and cooking/baking. After spending one day with Samantha, both boys came away with a new confidence in the kitchen and a desire to cook! Her knowledge of food and healthy eating, coupled with her enthusiasm and love for food, made the experience for my boys a fun, memorable and educational one. I highly recommend Samantha! "Over the course of several months I was able to leave behind my negative self sabotage eating ways and develop a healthy version of loving myself for who I am today." Samantha was awesome to work with. I learned so much about my eating habits and learning to love myself. I have always suffered with guilty eating and self sabotage. Over the course of several months I was able to leave behind my negative self sabotage eating ways and develop a healthy version of loving myself for who I am today. Thanks Samantha! I highly recommend the experience. "Her presentation on nutrition was not only educational but eye opening. It was great for the attendees with Parkinson's and their loved ones to receive such an abundance of important information on nutrition from a professional." Samantha was a guest speaker at our Parkinson’s Disease support group at the Waltonwood Assisted Living Facility. Her presentation on nutrition was not only educational but eye opening. It was great for the attendees with Parkinson’s and their loved ones to receive such an abundance of important information on nutrition from a professional. I enjoyed her personable approach to sharing important information about the foods we put in our body, how it can impact us and she explained the relationship between food and the human brain. It was an enlightening experience that I am pleased to have been present for. Thank you Samantha for speaking at our support group! "Her expertise and knowledge helped me get down 18lbs in 30 days. I feel great, more energy, and feel stronger than when I started working with her." I worked with Samantha as our nutrition coach for a challenge through our Crossfit gym. She did a great job providing healthy alternatives to some of our favorite meals. She took the time to have a call with my wife and I to listen to our personal needs and direct us to long term healthy eating . Her expertise and knowledge helped me get down 18lbs in 30 days. I feel great, more energy, and feel stronger than when I started working with her. phone session today so we can get clear on your health goals and determine your best next steps.